Need to get your old hardware talking with your new router? 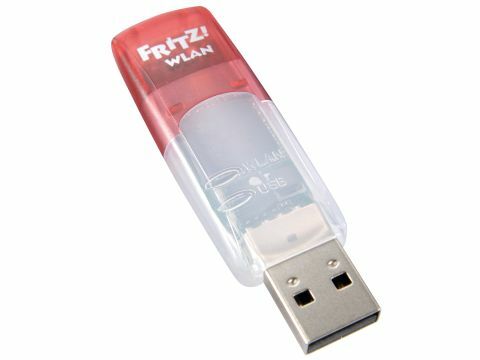 If you've been a little slow off the mark in upgrading your PC components or you're still using a five-year-old laptop, you might be in the market for the Fritz!WLAN. Both Windows XP and Vista recognised the stick the first time we plugged it in and there are drivers included for those of you still clinging on to a Windows 98 install. As such, it's suitable for anyone who might need to add wireless to their repertoire. AVM has added a speed-increasing protocol to its device, promising over 120Mbps if you use it with the Fritz! Box router. However, like most wireless gimmicks this is only useful if you're blessed with specific hardware. By supporting 802.11g, however, it runs at a fast-enough 54Mbps and the range beat our test laptop's internal card by a good three metres, even when broadcasting outdoors through an external wall. It's better than you'd expect considering the tiny aerial that's crammed into the housing. USB devices aren't usually blessed with the kindest cases, you see. We have witnessed everything from TV tuners to wireless adaptors turn into roasting lumps of nearmolten plastic as their inefficient, hot electronics struggle with little-to-no room to breathe. The FritzWLAN gets warm, but it doesn't ever reach such epic temperatures, even under heavy loads. Persistently flashing LEDs glow to show the status of the device at all times, which is useful for diagnosing connection issues. If you're a recent adopter of wireless technology, you might find that your shiny new router has overtaken your existing wireless cards in terms of certain technology. Inclusion of WPA2 support - a form of encryption that's considered "unbreakable" - is the Fritz!WLAN's strong suit, and that sort of security at a low price is certainly a good deal. Bog-standard WPA is also supported, as is WEP, so you'll be well covered whatever network you might stumble upon. That price, however, is something of a concern. Even taking security into account, this is three times more than you could pay for a similarly bog-standard USB wireless solution.